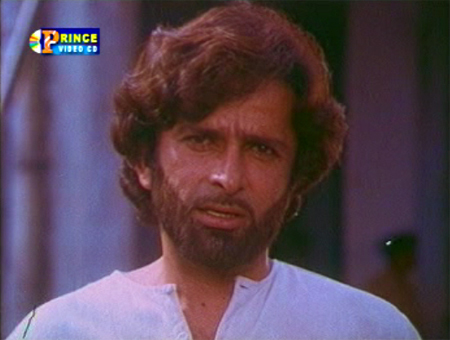 This movie is what would happen if Hrishikesh Mukherjee somewhat absent-mindedly directed the first half and then handed the reins over to Brij so that he could take the film off the rails in his usual bombastic style. 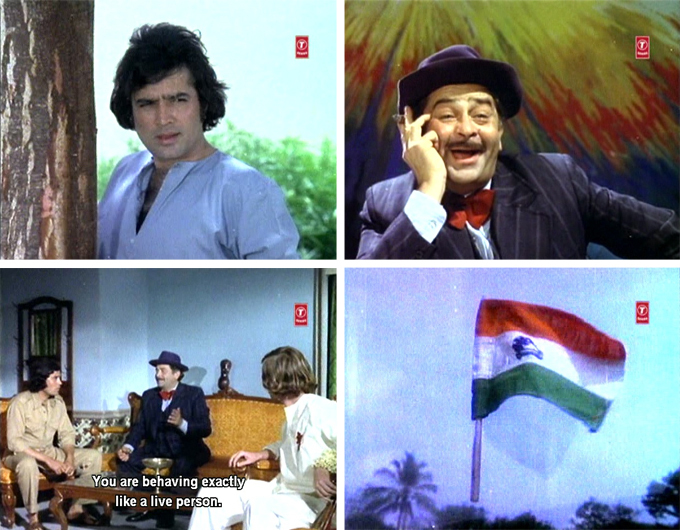 It started off in rare style: I was willing to live with the fact that our pre-Partition setting of 1944 looked exactly like 1978 (Gaudy Clothing, Bad Hair); I even found Raj Kapoor’s presence delightful! In fact the performances in this were quite wonderful, all of them. It’s great fun to see Nadira, Tom Alter, Protima Devi and the only thing that kept it from completely self-destructing finally was the acting. When the Curse of the Second Half hit, it hit hard. From a tentatively sweet Capra-esque story about regret and living life to its fullest, it ballooned with over-ambitious ideas until we were left watching a hapless director and his writers grabbing at straws to wind things up. Overdone tropes and ham-fisted preaching did not accomplish the job satisfactorily, I am sad to report. I have now seen this particular place in four different films spanning nine years. Originally I thought it was a set, but it now seems difficult to believe that a set would remain so unchanged over that time frame. Almost nothing does change, except the dining table chairs and floor coverings! The light fixtures remain almost identical, as do the altar (?) beside the second door, the stone walls, the stairs, the ceilings—and of course the Cat Wall-Hanging. Surely if it were a set, different art directors would have changed it from film to film and most certainly from year to year, don’t you think? Especially since the whole thing is really retro-hideous (which is why I love it so).